The latest feature of our premium satellite system is also the cleverest one! 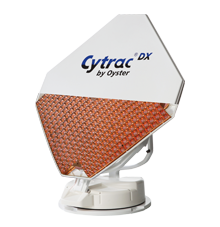 Now you can operate the „Oyster® TV“ set and the satellite antenna using the same new system-dedicated remote control. 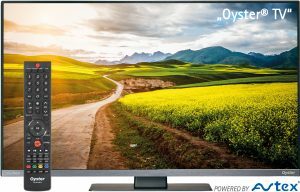 At the touch of a button, the satellite antenna unfolds automatically, searches the satellite required and, within a few seconds, supplies the channel you have selected on your TV display in optimal HD quality. 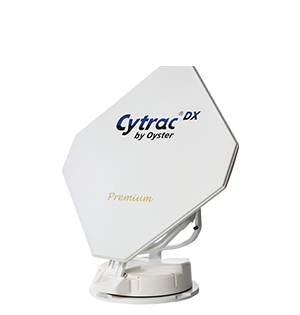 The core of the Cytrac® DX system consists of 1.016 interlinked single antennas arranged in a honeycomb pattern. The power supply to the two polarisation levels is strictly separated to attenuate any crosstalk, thereby creating a previously unknown signal purity that becomes especially obvious with HD channels. Signal accumulation uses the latest mathematical calculation methods to realise the stunning reception range.